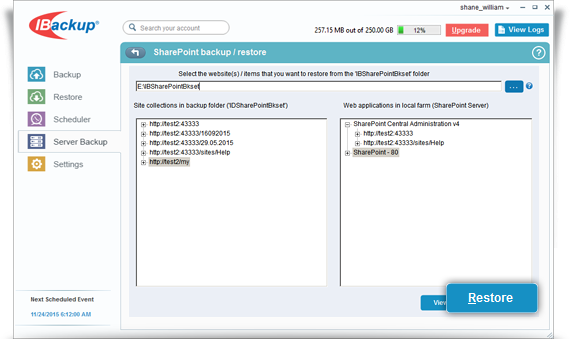 Restore / recover your complete SharePoint Server or portions of site / document libraries / lists. 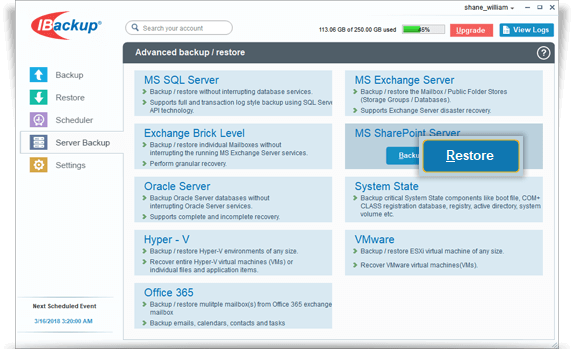 Login to the IBackup application and click the ‘Restore’ tab. 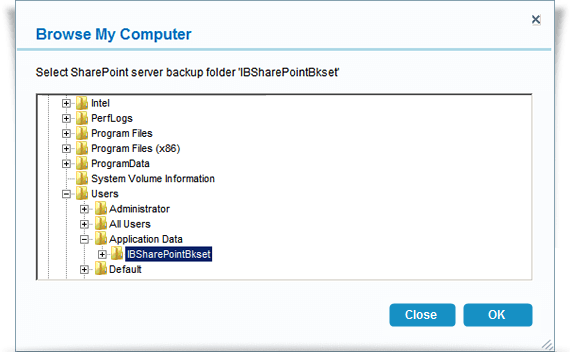 Locate and select the ‘IBSharePointBkset' folder in your IBackup account. Click the 'Restore Now' button, to restore the ‘IBSharePointBkset' folder to the local computer. Once the folder has been successfully restored, click the ‘Server Backup’ tab. Under MS SharePoint Server section, click 'Restore'. Browse and select the ‘IBSharePointBkset' folder from your local computer (the location where the folder was restored earlier from your IBackup account). The 'SharePoint Server backup/restore’ screen is displayed. Select the web-sites you want to restore and click the 'Restore' button. View the steps to backup MS SharePoint Server.